Take your needle, my child, and work at your pattern; it will come out a rose by and by. 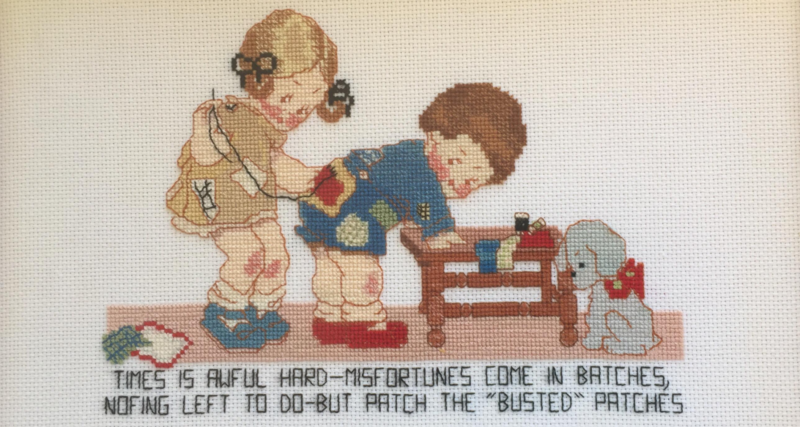 Life is like that — one stitch at a time taken patiently and the pattern will come out all right like the embroidery. Welcome to Life’s Spool. This blog is a place for thinking about the things that matter to me as a research student. It’s a place to wonder and reflect, to play with ideas, and to develop my own writer’s voice. Most of all, it’s a place for me to work out what goodness I can bring to this world. The header image is a photograph of a cross-stitch that my mum made in 1993, just weeks before my brother was born. It’s been hanging in the same spot in our home ever since, and has always given me a wonderful feeling of ease.